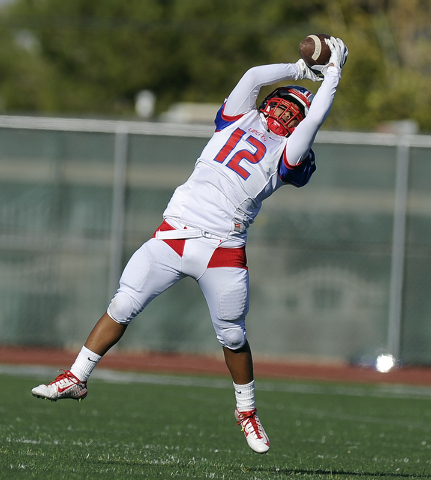 Liberty came into Saturday’s Division I state semifinal football game at Rancho hoping to force turnovers to stay with the nation’s top-ranked team. 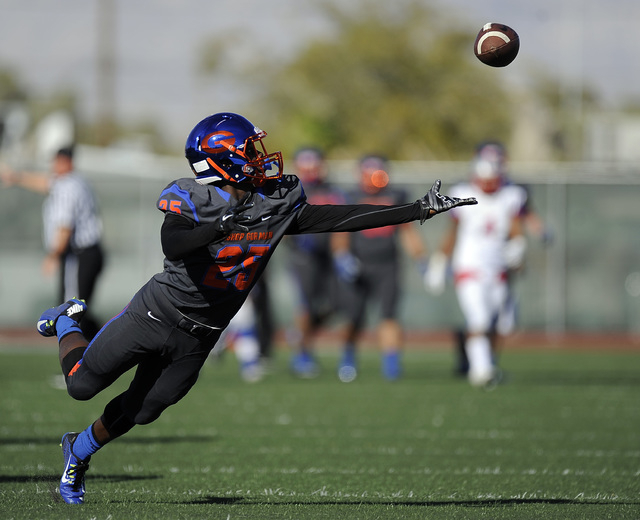 Instead, Bishop Gorman got the takeaways, forcing five turnovers en route to a 50-0 victory over the Patriots. 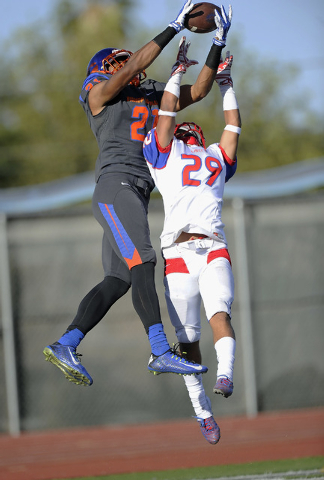 Gorman (14-0), ranked No. 1 in the nation by USA Today, forced four fumbles, turning them into three touchdowns and a field goal to pull away from the Patriots (10-3). 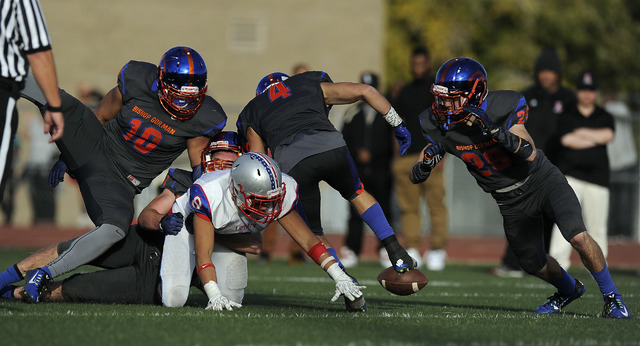 The Gaels will face Reed (11-3) in the state title game at 12:10 p.m. Saturday at Damonte Ranch High in Reno. Reed defeated Carson 28-25. Liberty had chances to get back into the game early in the second quarter, but the Patriots were unable to capitalize. 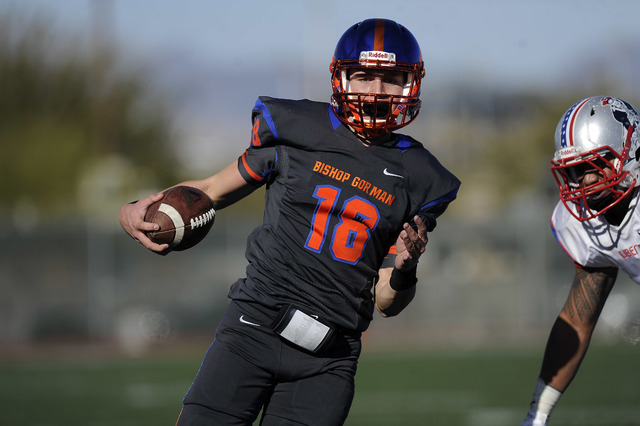 Gorman led 13-0 when Bradley Vilora caught what looked like a 42-yard touchdown pass from Kenyon Oblad, but the play was negated by a holding penalty and the drive ended with an interception. 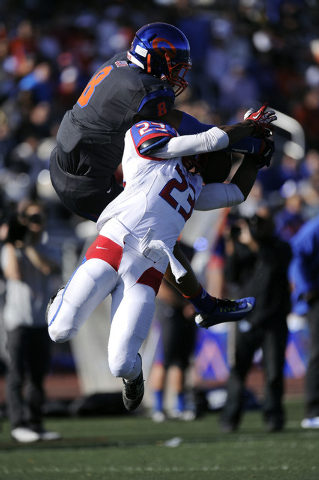 Liberty forced a turnover on downs on the ensuing possession, but Spencer Wilson fumbled on the first play of the next drive, and Alex Perry recovered for Gorman. That led to a 24-yard field goal by Gage Wilson that gave the Gaels a 16-0 lead with 2:12 left in the first half. Gorman got the ball one more time before the half after a short punt gave the Gaels the ball at the Liberty 29 with 1:12 left. 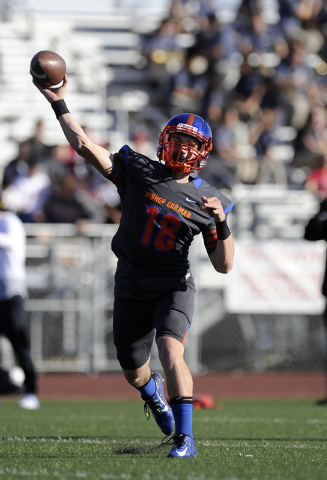 Two plays later, Tate Martell hit Russell Booze with a screen pass, and he went 29 yards untouched for a touchdown that gave Gorman a 23-0 halftime lead. Liberty got the ball first to start the second half, but another big defensive play all but sealed the Patriots’ fate. 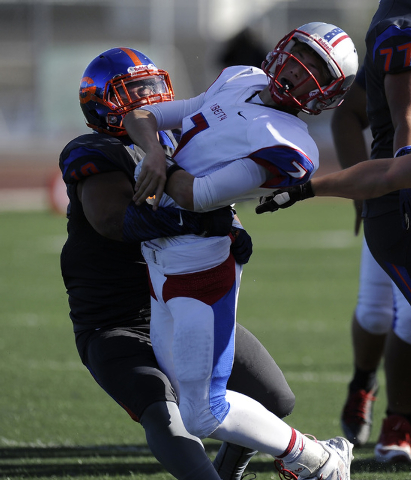 Gorman linebacker Ferrall Hester got great penetration, blowing up the exchange between Oblad and running back Ethan Tuilagi. Otukolo recovered the fumble at the Liberty 39, and Jonathan Shumaker scored on a 1-yard run four plays later to make the score 30-0 with 9:38 left in the third quarter. Martell didn’t have a huge game throwing the ball, completing 17 of 31 passes for 190 yards and the touchdown. 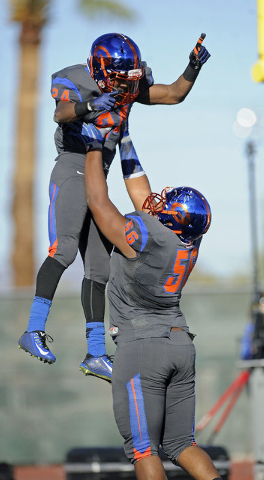 But he made Liberty pay with his legs, rushing for 59 yards and TDs of 27, 6 and 11 yards. 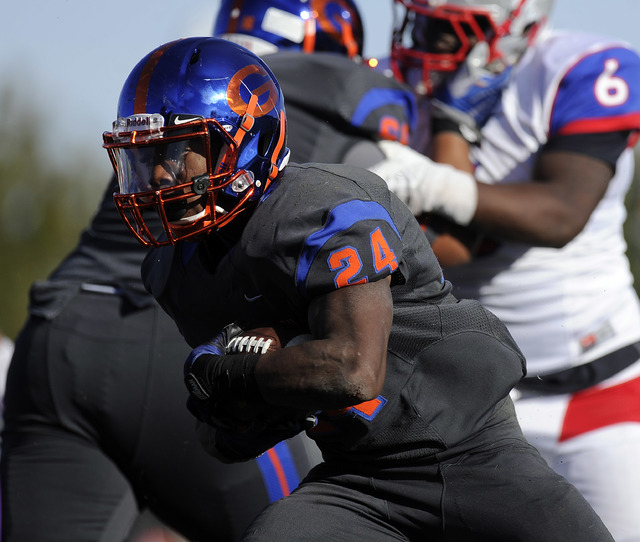 The Gaels finished with 237 rushing yards and six touchdowns. 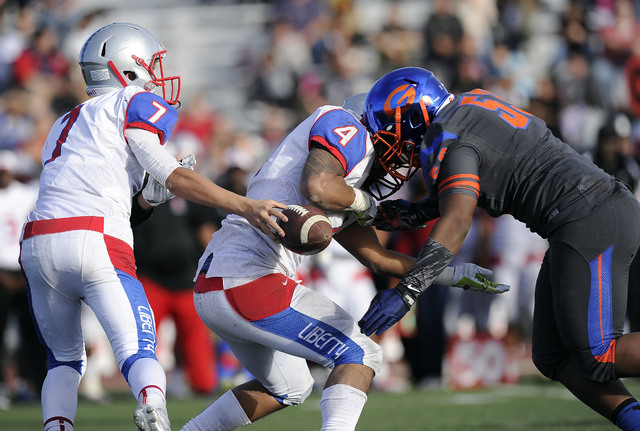 Liberty hadn’t allowed more than 149 rushing yards in a game all season. Booze led the Gaels with 118 yards on 16 carries. Shumaker rushed for 48 yards and two TDs, and Biaggio Walsh added a 5-yard TD run. 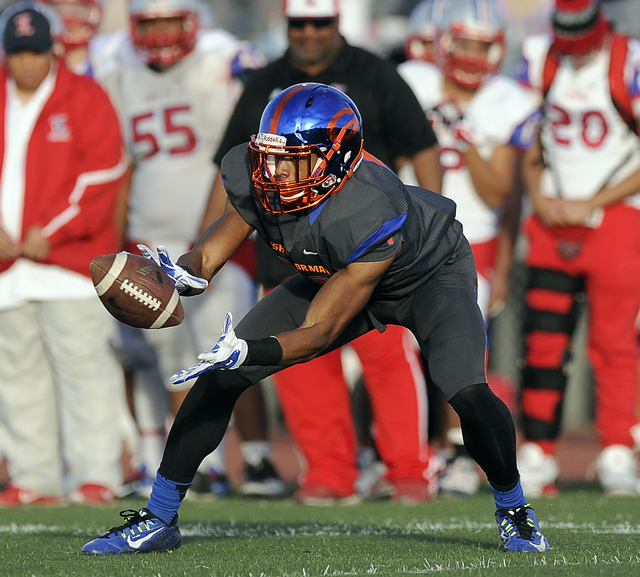 “If you’re going to play defense like that, you’re going to protect the football and you’re always able to run the football, you’re going to win a lot of games,” Gorman coach Tony Sanchez said. 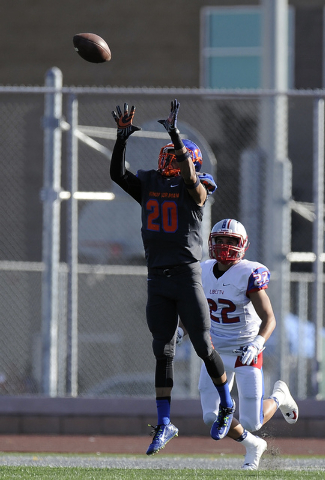 The Gaels will be going for their sixth consecutive state title and look to finish the season undefeated with that No. 1 national ranking.